Frieze Art Fair London 2012, the grand Sculpture Park. 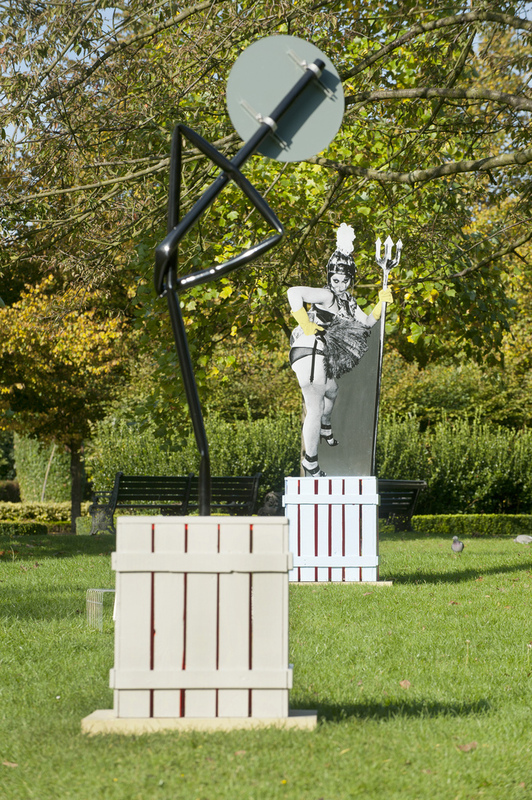 The Frieze Sculpture Park was successfully presented at Frieze Art London 2012. Packed with visitor, Frieze Art London 2012 confirmed to be the leading international contemporary fair. Many events and activities were associated to the fair programme, such as Film and Music, Talks, Outset/Frieze Art Fair Fund to Benefit the Tate Collection, Frieze Projects and the usual Frieze Stand Prize. The Frieze Foundation has also organized Education activities. 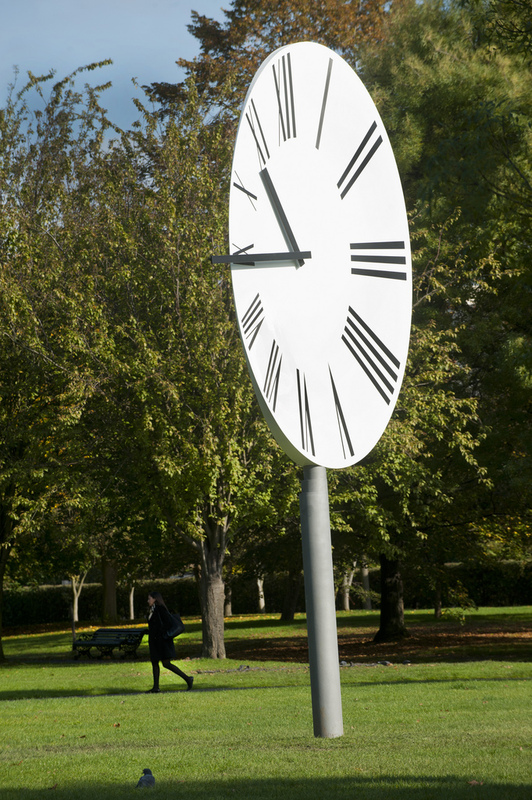 The 2012 Frieze Sculpture Park is the largest-ever presentation of outdoor sculpture at Frieze London. The Sculpture Park at Frieze London 2012 was located in the beautiful surroundings of the English Garden, at Regent’s Park. It is located a short walk to the east of the entrance to the fair and it exhibits new works by both established and emerging artists represented by Frieze London exhibitors. Entry to the Sculpture Park was free to the public. The Sculpture Park at Frieze London 2012 has been selected by Clare Lilley, Director of Programme at Yorkshire Sculpture Park. Clare Lilley is Director of Programme, Yorkshire Sculpture Park. Lilley holds a degree in the History of Art from the University of Manchester. She joined Yorkshire Sculpture Park in 1991 and since 2010 has had lead responsibility for exhibitions and projects, the collection, and public engagement. Projects and published material include: Simon Armitage, Brandon Ballengée, Brass Art, Mel Brimfield, James Lee Byars, Anthony Caro, Liadin Cooke, Leo Fitzmaurice, Carlos Garaicoa, Stefan Gec, Andy Goldsworthy, Kenny Hunter, Bethan Huws, Tania Kovats, Sol LeWitt, Shirin Neshat, John Newling, Jaume Plensa, Peter Randall-Page, Joel Shapiro, Sarah Staton, William Turnbull, James Turrell and Winter/ Hörbelt. Clare is a board member of Site Gallery, Sheffield. She has spoken at a number of international symposia on the state of contemporary art and has judged numerous awards, including this year’s Paul Hamlyn Awards for Artists (2012). Clare Lilley has put together an ambitious selection of works, offering a rare opportunity to see a significant group of public-scale sculpture. Lilley’s selection featured work by some of the most acclaimed international sculptors working today, both established and emerging. These include new pieces by: Hemali Bhuta (Speed Breakers, 2012, Project 88, supported by Creative India Foundation); Andreas Lolis (21st Century Relics, Composition in 7 parts, 2012, The Breeder); Damián Ortega (Through /True Stone, 2012, White Cube); and Maria Zahle (Tree Stripe, 2012, Arcade). Other artists participating in the Sculpture Park include Anri Sala (Clocked Perspective, 2012, Hauser & Wirth), Thomas Scheibitz (Smiley, 2009, Tanya Bonakdar Gallery, Sprüth Magers Berlin London), Sean Landers (Pan, 2006, greengrassi), and Sam Falls (Untitled Sculpture, blue, burgundy, tangerine, teal, #5, 2012, International Art Objects Galleries). The Frieze Sculpture Park showed a varied range of outdoor work from Hans Josephsohn (Untitled, 1970 – 2010, Hauser & Wirth), William Turnbull (Horse, 1999, Waddington Custot Galleries), and David Nash (Black Light, 2012, Annely Juda Fine Art); through the differing use of materials in the work of Yayoi Kusama (Flowers That Bloom Tomorrow, 2011, Victoria Miro), Jean-Luc Moulène (Body Versus Twizy, 2011, Galerie Chantal Crousel, Collection Renault, France), and Peter Liversidge (Everything is Connected, 2012, Ingleby Gallery); to the subtlety subversive sculptures of Michael Landy (Self-portrait as Rubbish Bin, 2012, Thomas Dane Gallery) and Alan Kane and Simon Periton (eight fculptures, 2012, Ancient & Modern, Sadie Coles HQ). A number of artists have responded directly to the Sculpture Park’s unique setting, including Adip Dutta (Nestled, 2012, Experimenter) which comprises multiple woven stainless-steel weaver bird’s nests hanging from the trees of Regent’s Park. Maria Zahle’s first outdoor work Tree Stripe (2012) also incorporates the natural environment – a stretch of ripstop nylon will connect the viewer’s space to the tree, forming a brightly coloured visual bridge or ladder. From 11th to 14th October 2012, Regent’s Park, London. « National Portrait Gallery: unveiled BP Commissioned Portrait of Dame Kelly Holmes by Craig Wylie.